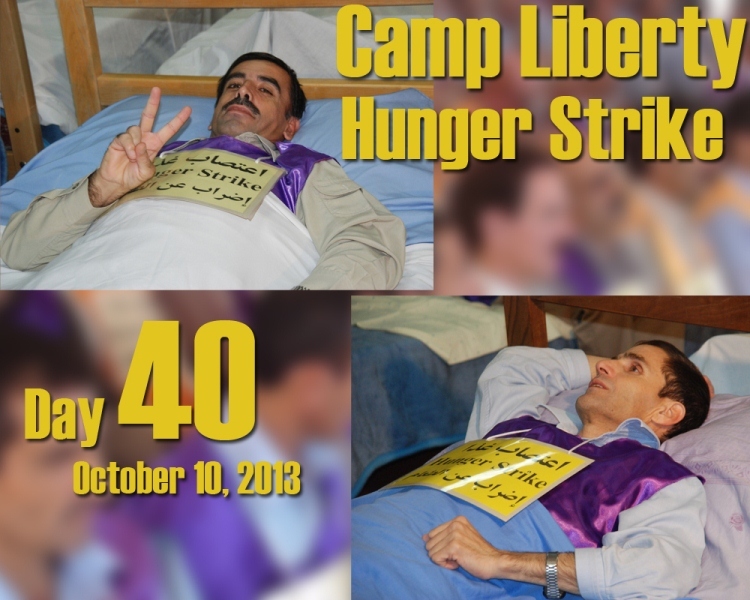 The residents of Camp Liberty have now been on hunger strike for 40 days. Today, 29 hunger strikers were placed under medical supervision due to problems resulting from their prolonged hunger strike. According to doctors hunger strikers have lost 8 to 14 Kg weight, and are suffering from different symptoms. But despite their deteriorating health conditions, the hunger strikers are adamant to continue their hunger strike until the 7 hostages who were abducted from camp Ashraf by Iraqi forces on September are released. They also demand that the security of Camp Liberty be provided by United Nations blue helmet forces. The hunger strikers are furious at the UN and US Embassy because for neglecting their responsibilities and their inaction regarding the release of the seven hostages. They demand these institutions to place serious pressure on the Iraqi Government for the release of the hostages. Next Next post: Will Obama let the 7 hostages share the Fate of the 52 Victims of Camp Ashraf Massacre?